Inverse heat transfer method (IHTM) is typically §used for predicting the temperature, heat flux, and §other physical properties of a thermal system. In §recent years, it has been applied to treat the §problems of shape identification, shape design, and §identification of geometric and physical variables §simultaneously. In this volume, the conjugate §gradient method (CGM) is extended and applied, while §a simplified variation of CGM that overcomes the §limitations in the definition of objective function §form of CGM is presented. 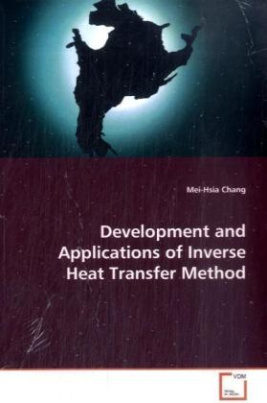 Combining these §developments, a novel IHTM is proposed, which §incorporates an automatic-filter scheme with the CGM §method, and is applied to a wide range of practical §problems for thermal systems. Since numerical grid §generation is not required and overwhelming §mathematical manipulations are avoided, the §objective function form presented here becomes very §flexible. The content of this volume is most §suitable for readers interested in IHTM and its wide §applications, and hopefully will also stimulate §novel thoughts of the readers to help them develop §and apply to their own innovative problems.